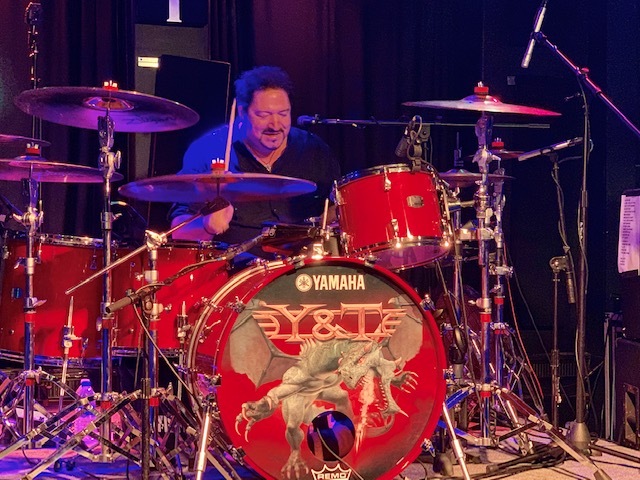 KNAC.COM - Reviews - Y&T In New Bedford, MA With Photos! 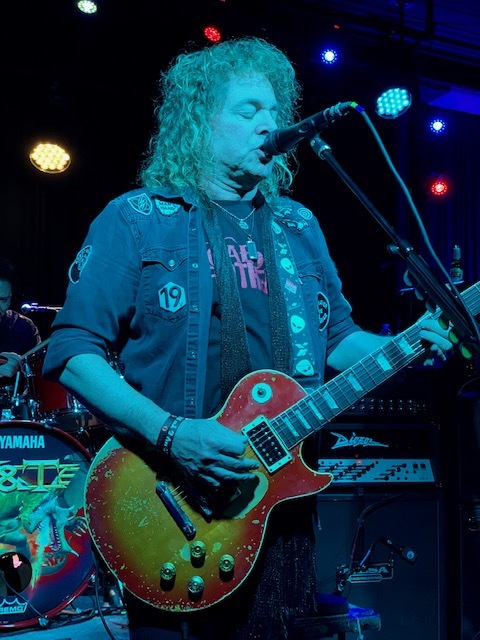 Fighting off sickness, Y&T frontman Dave Meniketti embodied that old "the show must go on" adage to put on a knockout show for the assembled fans in attendance at The Vault Music Hall & Pub on March 12th, 2019. 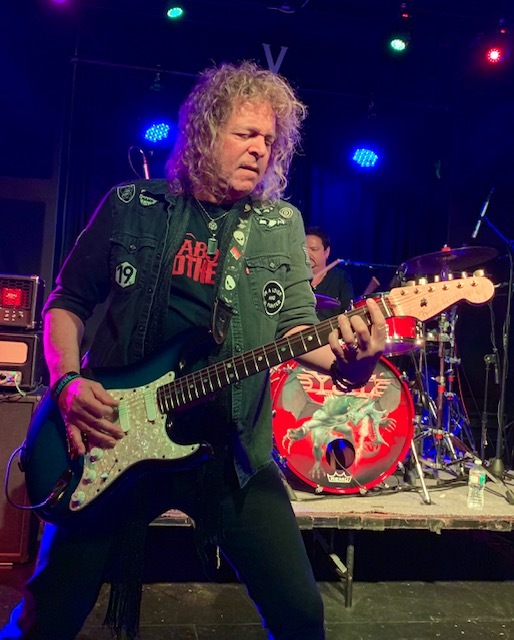 Powering through that sickness as the band tours to celebrate their 45 year career, Meniketti and his bandmates (guitarist John Nymann, drummer Mike Vanderhule and bassist Aaron Leigh) put on a nearly 2 1/2 hour show, 23 song set that featured at least one song from every studio album Y&T has released and left every person there both fully satisfied and yet wanting more. This was my first time seeing the band because truth be told, I've really only ever known Y&T's music on a casual basis. If it was a song that got played on the radio, I knew it but I don't have the same level of knowledge of their full catalog of music like a lot of other people. Before the show I attempted to rectify that and got to discover that there was a lot more of their material that struck a chord with me. My friend George, on the other hand, had told me that he'd never heard a Y&T song that he didn't like. This was one of those "An Evening with..." performances so it was just Y&T with no opening acts. 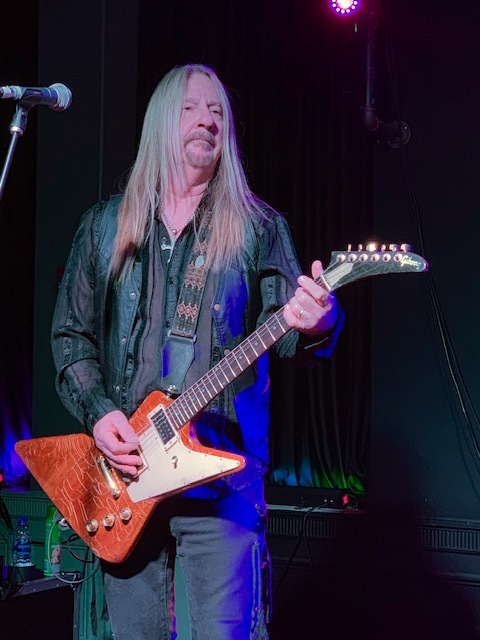 The band hit the stage right at 8pm and both George and I were right there in front which paid off nicely when Dave Meniketti played the guitar solo for "Mean Streak", "21st Century" and a couple of other songs not two feet away from us. It was outrageously cool to watch his fingers fly from that close vantage point. The band kept up the musical pace from start to finish with just the right touch of stage banter from Meniketti in between certain songs. I found myself loving "Lonely Side Of Town" a lot and I felt "I Believe In You" took on a more epic feel for me in a live setting than the studio version. 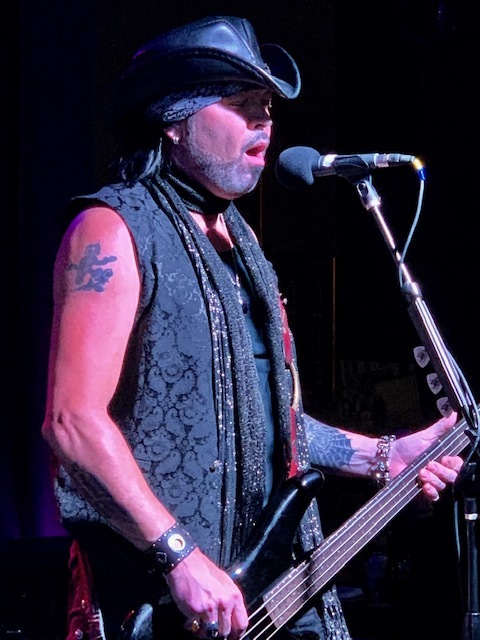 The performance of the instrumental "I'll Cry For You" was dedicated to the late original band members Leonard Haze, Phil Kennemore and Joey Alves. Meniketti also talked about the band's late soundman Tom Size before launching into "Come In From The Rain", which he said was Size's favorite song. But while paying tribute to those they've lost along the way, this night was not a maudlin affair. 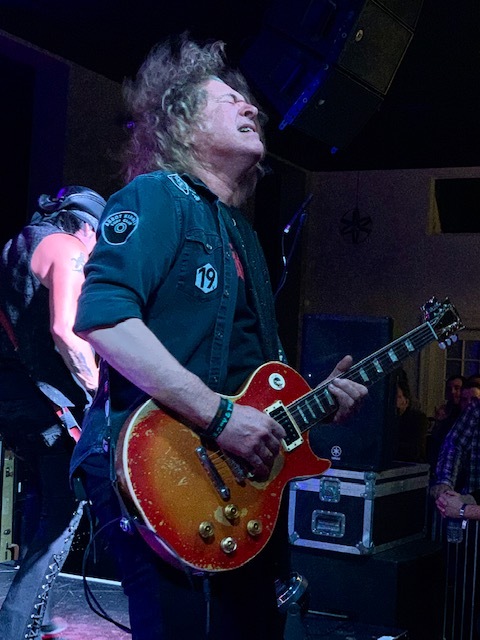 Instead it was a celebration of all the music the band has made and the energy running through the crowd remained highly amplified as Y&T ran through killer renditions of "Don't Stop Runnin'" and "Black Tiger" amongst other classic cuts from the entirety of their career discography. It might be a bit cliche to say how much I enjoyed "Mean Streak" given its status as one of their best known songs, but cliches be damned, the song was awesome. As much as I love the studio version, seeing it performed live only heightened my love of the song. Perhaps the best part of the show was discovering that songs I had either barely or even never heard before, were quickly forming an attachment for me. While the crowd was fist pumping and yelling out their satisfaction for each successive song, I found myself becoming fully absorbed in the music as songs like "Midnight In Tokyo", "I'm Coming Home" and the very cool "Sail On By" washed over me. There were just so many great moments that I could go on and on. I feel like I've been converted into a full-fledged and card carrying member of the fan club for Y&T. I am sure that the song has long had its many supporters, but after listening to the performance of "Hang 'Em High", it is probably one of my favorite songs from the band. Dave Meniketti, on the liner notes for the remastered edition of the Mean Streak album, calls the song the most heavy metal track they've done and he's right. It's just a powerful anthem and really resonated with me. 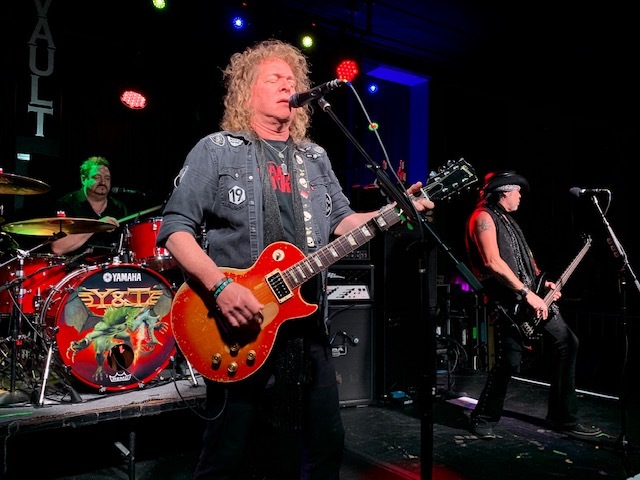 No Y&T show would be complete without "Summertime Girls" and while every rock fan has heard the song any number of times over the decades, it didn't disappoint on this night. It felt as vibrant as the first time I ever heard the song. While they didn't actually leave the stage, the band's encore started with the previously mentioned "Sail On By". But before starting their next song, Meniketti took suggestions from the crowd on what song they wanted to hear. He ended up with five options that he had the crowd vote on (not including the song "Surrender" which a couple of women standing behind me kept asking for all night long). He ended up deciding that "Lipstick and Leather" and "Eyes Of A Stranger" got an equal response and said that they'd play both of them...to the joyous refrain from the audience! 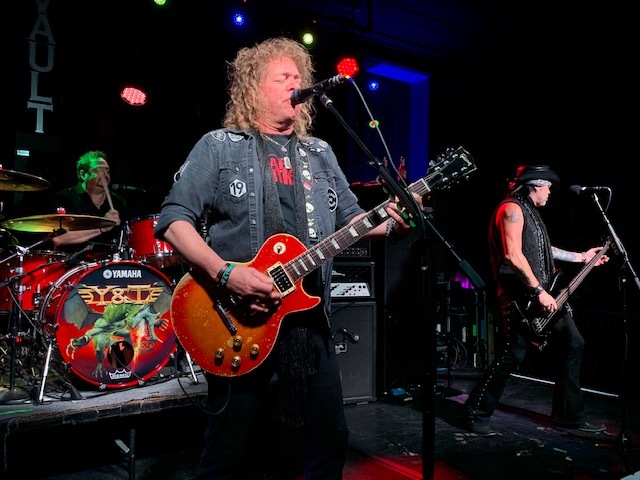 The night closed out with "Forever", which served as a perfect way for the show to end because on a night where illness could've affected the show, the audience bore witness to a Y&T performance that will stay with them forevermore. 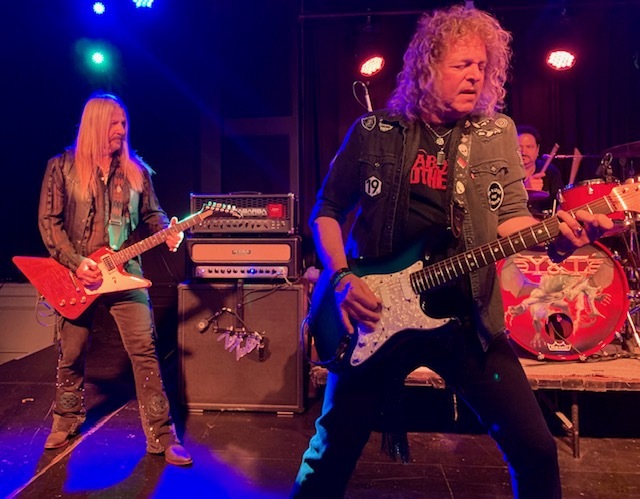 Y&T does indeed truly rock! 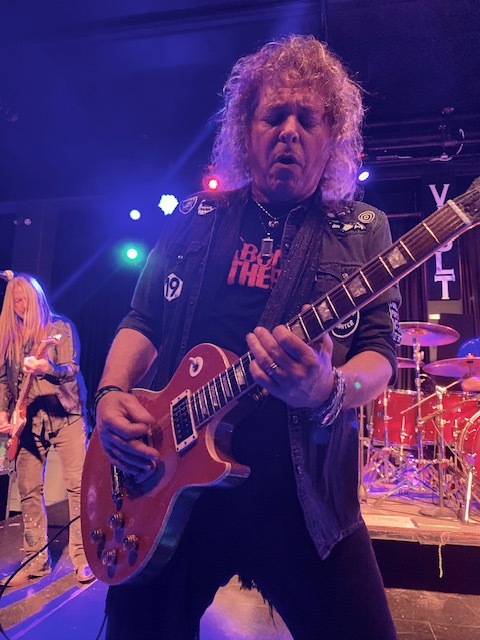 CONCERT FUN FACTS: Y&T was set to do a free meet and greet with the fans after the show. Dave Meniketti mentioned before he left the stage that he wouldn't be taking part because of his illness and not wanting to pass it on to anyone. The band's merchandise table was well stocked with all sorts of material to purchase and I picked up a tour shirt and a copy of the Mean Streak album, now fully in the band's musical thrall. FULL DISCLOSURE NOTICE - The concert was put on by the JKB Entertainment Group. I write a series of articles called "The Cassette Chronicles" for their Limelight Magazine.com website. Check out a few more photos from the show!